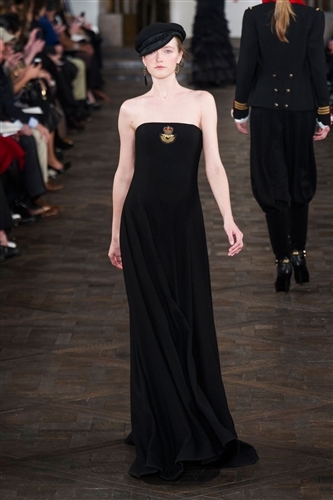 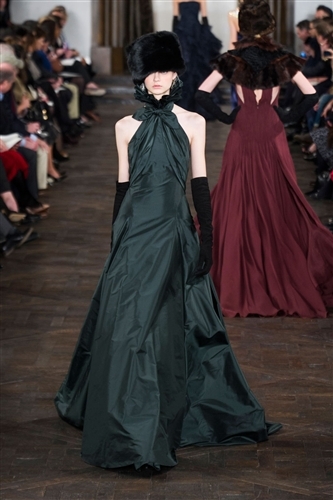 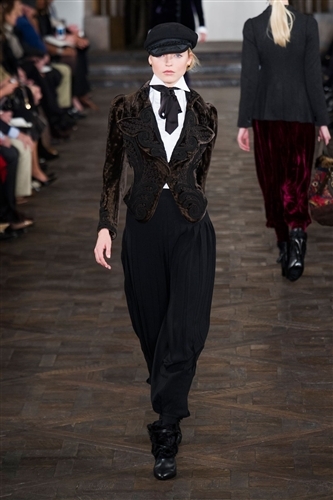 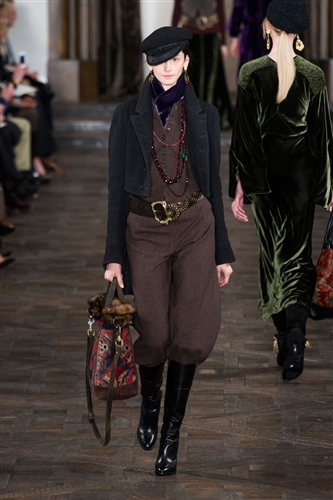 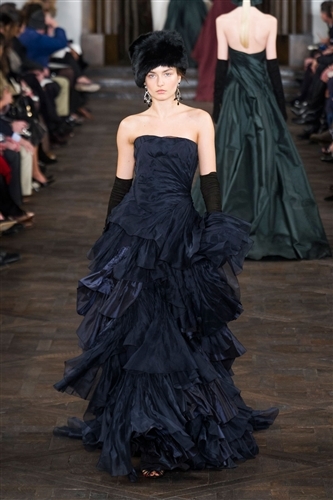 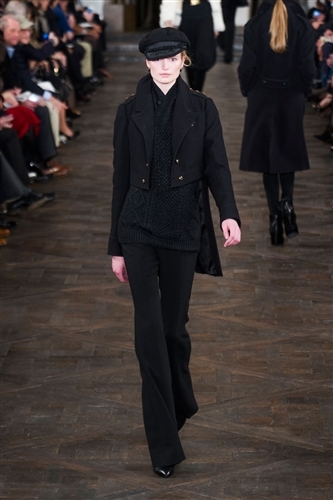 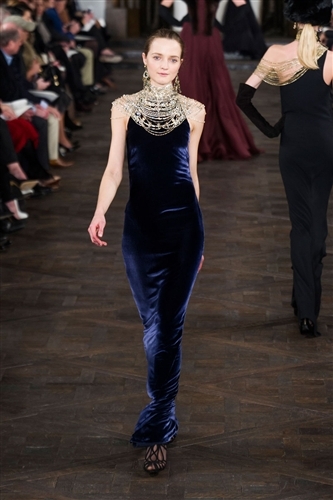 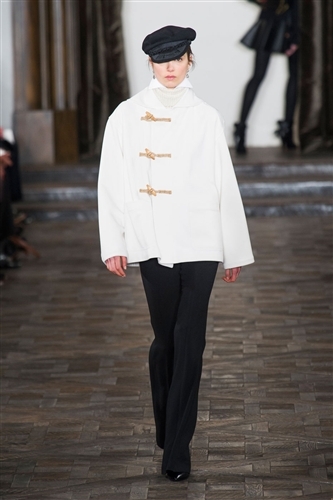 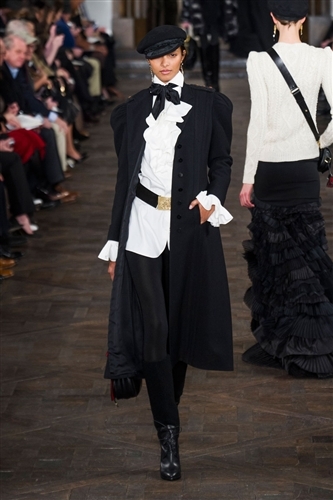 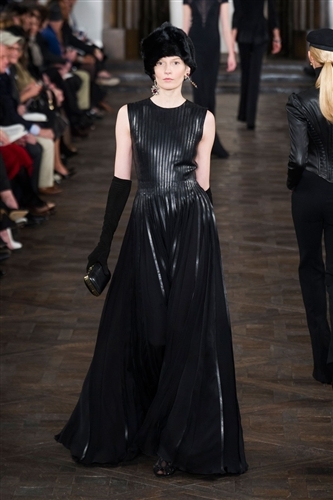 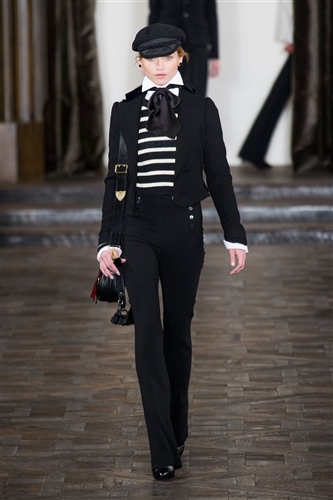 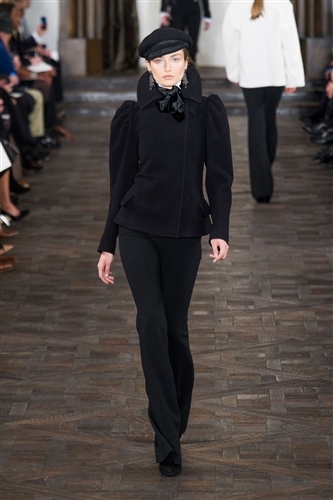 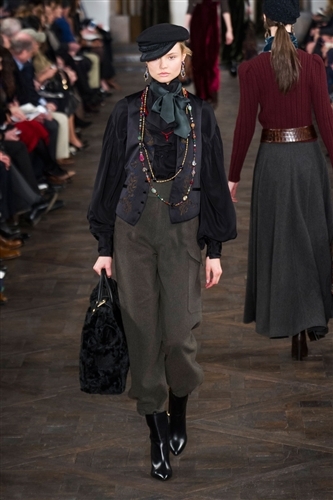 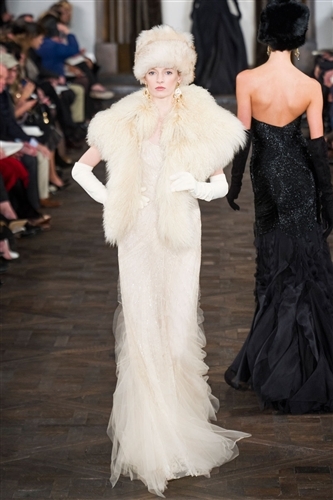 There just doesn’t seem to be a show quite like a Ralph Lauren show. 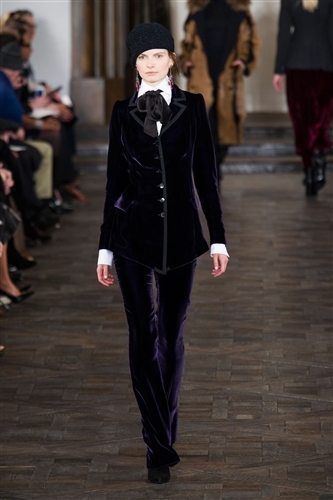 We headed over the pond to Europe where a Russian themed collection was out in force. 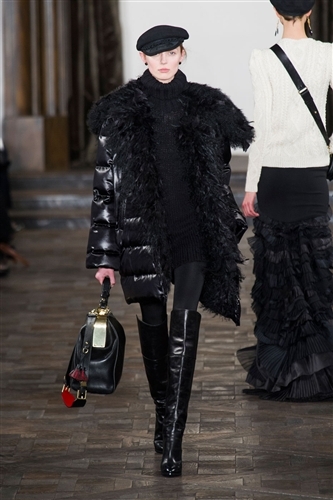 The shearling cream fur and navy oversized pea coat would not look out of place in a Moscow setting. 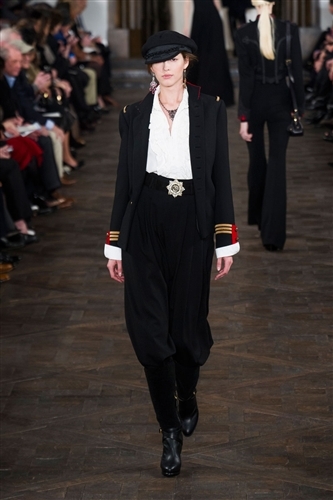 Lauren also used a navy influence with military emblems bracing belts and cuffs – something he has done for many years and still manages to get so right. 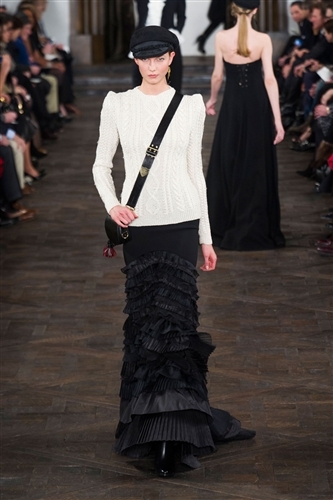 A breton top along with a cream cable knit jumper were sure to emphasise the look the designer was going for. 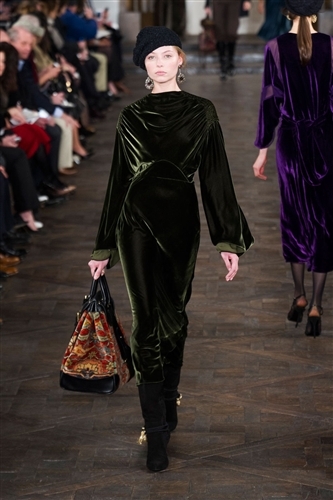 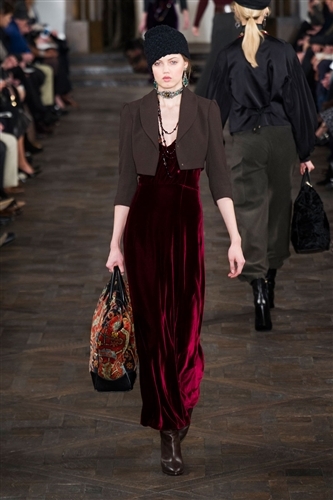 Dresses made in luxurious velvet draped beautifully to the floor in rich colours such as plum, burgundy and olive green. 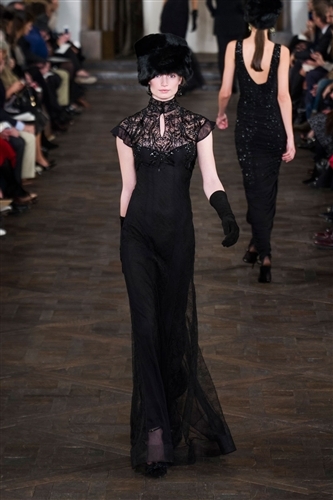 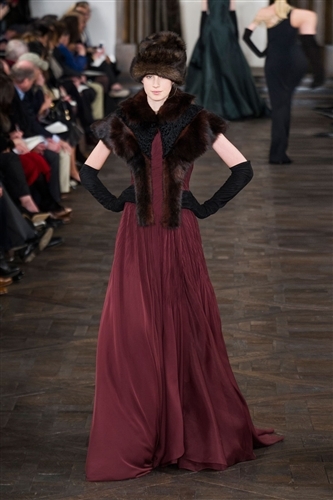 Evening dresses were also Oscar worthy, paired with fur hats and elbow length gloves. 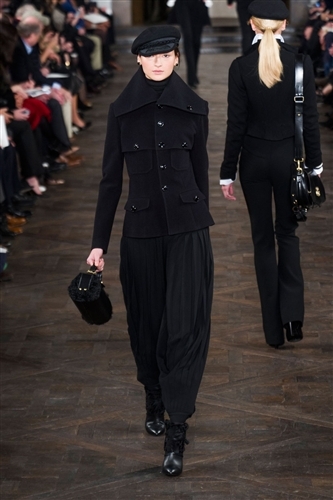 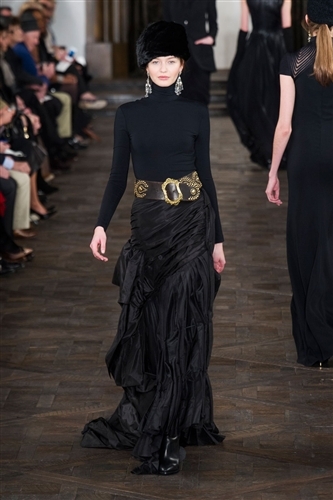 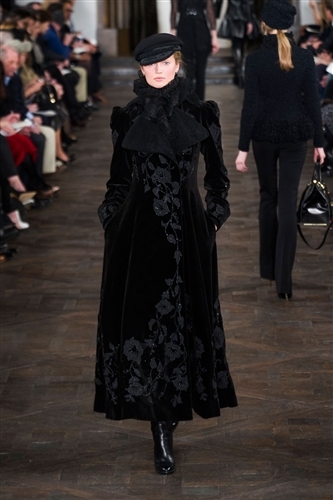 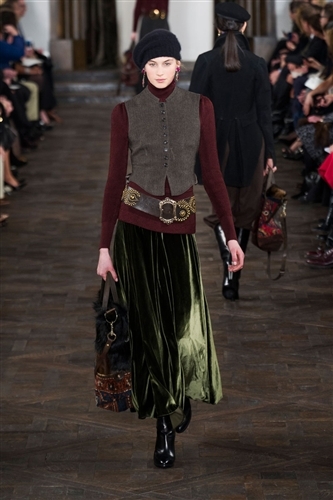 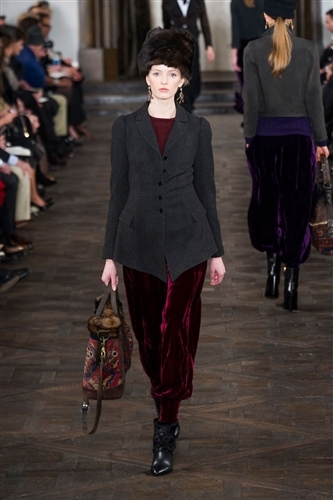 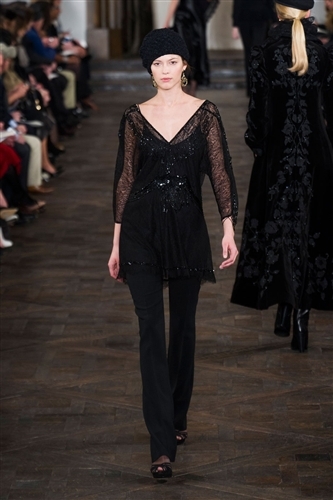 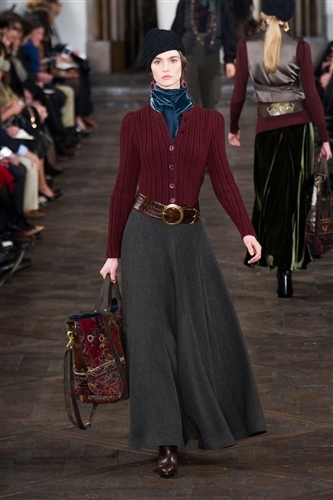 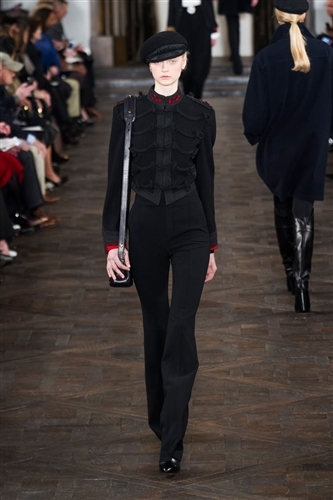 We went from Spain at spring to Russia for fall, Ralph Lauren unveiled another piece of his global inspirations.